The European sewerage system is rather outdated. In a large part of the over 500,000 km long German network, there is a significant need for rehabilitation. Primarily cities and communities, whose duties include waste water removal and where public sewers are often the largest job for their invested capital, are responsible for this. The SpectraShield System is the right alternative when it comes to cost effective and sustainable rehabilitation of waste water infrastructures. SpectraShield is the leading technological polyurea coating process for drainage systems. Since 1993, almost 40,000 structures have been renovated using this technology. The bottom line: this is an area of more than 500,000 m². Noteworthy complaints are not known. The main area of use of SpectraShield is in the rehabilitation of waste water structures such as manholes, pump shafts, filter basins, sedimentation basins and collection basins. 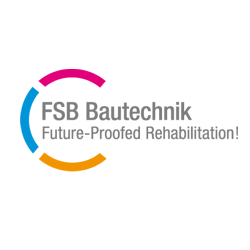 The resilience of the material is legendary, which is why FSB Bautechnik calls it “indestructible”.